Take a moment, consider Ukraine. Reports from Kiev indicate a horribly dangerous new development in the conflict with several killed and many wounded by snipers today. The president has left the city. This portends worse to come. The whole thing probably seems far away to you. And it is. Frankly there is not much you can do which is kind of surprising. A major country is falling apart and large parts of the world aren’t really paying attention. Sadly. Clooney spoke out a bit. A bit too late. If you are American you can take a minute and try writing your representative http://www.house.gov/representatives/find/. They might even read it. Considering what this is really all about, the lack of attention is a deeply concerning. The fight in the Ukraine is rooted in the failed promise of a meritocracy people hoped came along with modern democracy. The fight is between those who cynically seek to preserve power and build wealth at all costs over basic human interest. Like many conflicts flaring across the nominally democratic portions of the world it fundamentally pits humanist post-Enlightenment considerations against downright medieval approaches to the concepts of nations and peoples. It is a struggle over the promise and role of democracy in our time and it is yet another in a chain of these from Istanbul to Cairo to Bucharest to Stockholm that seem to be getting more violent and severe as most governments pretend not to notice. 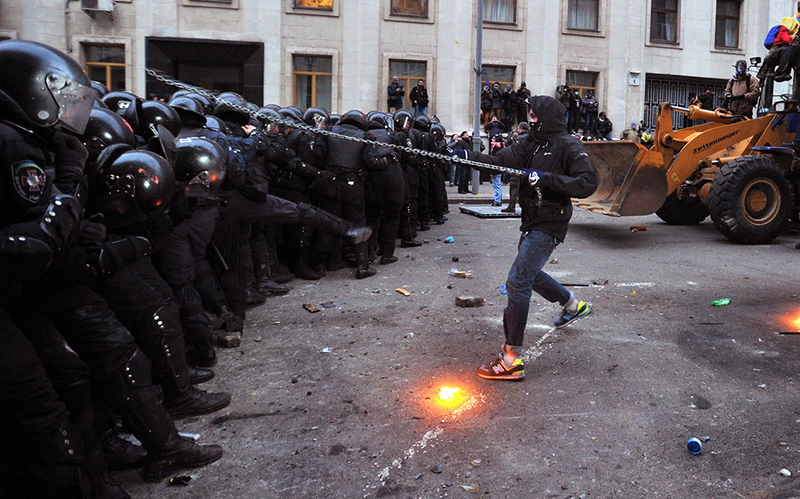 In the fight for the Ukraine good people are dying for truths and freedoms that we all hope to rely on as self-evident. They may fail or a new nation may emerge. In either case, they need all our support and it is worth taking a minute to stand with them. Do a bit of research, read a bit, and considering engaging however you can.